Add some "color" into your marketing campaign with this fantastic promotional tool. Choose this 1/2" tie dye lanyard with metal crimp and rubber O-ring as a handy giveaway during tradeshows, conferences and fundraisers. This product is sure to stand out among a crowd. 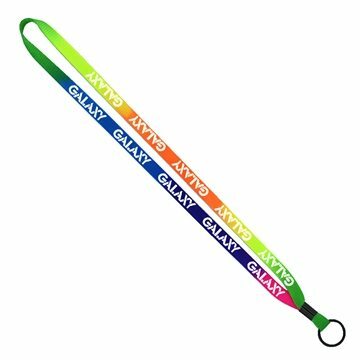 Tie dye lanyards have random color patterns; each lanyard will be unique. The order is perfect, this is our fourth year ordering from AnyPromo and will be using them every time. Everything about the product and service was excellent! this item was used as a give away at an appreciation event and everyone enjoyed receiving it.